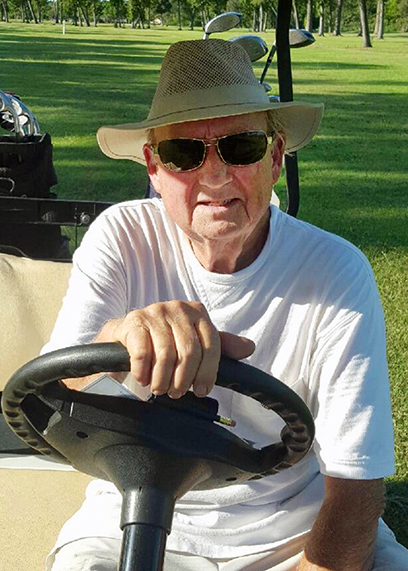 Mike Sinclair, 86, of Beaumont, died Thursday, April 4, 2019. He was born on December 19, 1932, in Minden, Texas, to Emily Louise Lawrence and Marion Sebastian Sinclair, Sr. Mike was a United States Navy veteran and a real estate investor. He is survived by his sons, Michael Sinclair and his wife, Beth and Patrick Sinclair and his wife, Cherié, all of Houston; sister, Martha Ann Tedder and her husband, Paul, of Louisiana; grandchildren, Taylor Sinclair, Madison Sinclair, Kyler Sinclair, Connor Sinclair, Travis Ala, Brandon Korndorffer, and his wife, Carmen, and Casey Elliott; seven great-grandchildren; and nieces and nephews, Kirk and Tammy Giles, Gracie Gauley, Aimee Robert, Amber Gay, and Sonshereé Giles. Mike is preceded in death by his wife, Thelma “Dutsie” Robert Sinclair; sisters, Virginia Sinclair and Dorris Jean Beal; and grandson, Zachery Sinclair. A gathering of Mr. Sinclair’s family and friends will be from 5:00 p.m. until 7:00 p.m., Sunday, April 7, 2019, at Broussard’s, 1605 North Major Drive, Beaumont. His funeral service will be 10:00 a.m., Monday, April 8, 2019, at The Church of Jesus Christ of Latter-Day Saints, 7785 Weaver Drive, Beaumont, with his graveside service to follow at 3:30 p.m., Monday afternoon, at Tularosa Cemetery, 1168 Private Road 3050, Buffalo, Texas. Memorial contributions may be made to American Cancer Society, #4 Bayou Brandt, Suite B, Beaumont, Texas 77706. It was always a pleasure to see Mr Sinclair come into the tax office to conduct business. He would stay a while and just talk, he would share with me about his family, his business but most of his his "Dutsie". He wanted me to know all about her and even brought me a magazine with an article about her in it so I could see what she was all about. He left that magazine with me which I still have in my desk. He was a very sweet man who will be greatly missed by many I'm sure. My thoughts and prayers go out to his family. Sincere condolences for Mike's family. Surely we can all look forward to a time where loved ones can come back and we could live forever on the earth in perfect health, without pain or death, as brought out in Psalm 37:29 & Revelation 21:4. My condolences to the family. I will very much miss him. Uncle Mike your smile and your sense of humor will be missed but I know you are having a joyful reunion with the Lord . You were the dearest uncle and I will always cherish your kind words ! Praying for grace, peace and comfort for Michael Craig , Patrick and their family. Always in my heart.